I know this is not a food processor, but while we are on the subject of kitchen appliances. Goodness!!! I have wanted one of these for like ever, and lately can't stop thinking about it. I even 'visit' one in a retail shop just to look. She is so pretty in that pink! Last night confirmed why I really need to bite the bullet and invest in a food processor. I toy with the idea usually once or twice a year. You see, while I like the idea of cooking, I am hopeless with a knife. As most cooking involves some degree of slicing or chopping I usually avoid it where possible. Last night I decided to make the little savory risotto I like to cook from time to time. I manged to chop the Roma Tomatoes in half without incident for roasting in the oven. However while chopping the onion I managed to cut my finger. Now I usually cut myself while using a knife, no news story in this house, however last night it seemed like I could not stop the bleeding. Great. I have managed to cut myself really deep, I need stitches it is almost 7:20 pm and various other thoughts started racing through my mind.... Anyway I wrapped my finger in loads of kitchen paper (the closest clean thing on hand) applied pressure kept it raised etc while Mr drove me the 1/2 hour one way back into town. We were hoping to visit after hours doctor, however that was closed for reasons best known to said after hours doctor just for last night. So we decided to visit accident and emergency at a private hospital (please don't judge but I decided I was not sitting in the emergency section of the public hospital, too tired and pregnant to put up with THAT circus last night!). Anyway we registered with the nurse at accident and emergency, acknowledged it would cost $180 to see the doctor etc and waited. After a while I peeked at my finger. It had stopped bleeding. Of course. I started to feel foolish. Of course there was a lot of blood, my heart is pumping a lot these days, my blood vessels are large and close to the surface etc. Sheepishly I wandered back over to the nurse and said "sorry to have wasted your time, but I think I just panicked. I will leave it and not see the doctor tonight thank you". "Up to you" replied the nurse, 'your room is almost ready anyway'. "thanks" I replied, however I will leave it, see it has stopped bleeding now". "Let me see" the nurse stated. "Where is it?" asked the nurse, searching for said cut. "Let me come and see it in better light". So we wandered over to the better light where nurse stated "umm. love. I think you will be fine with a band aid on that". Obviously I felt really dumb. I was very apologetic as we left. So after coming 2 minutes away from paying $180 for a band aid I have decided I am going to purchase a food processor. There are other reasons why food processors appeal to me such as the speed within which all the prep is done etc. So this is where I need some assistance I have, probably foolishly, decided if I am going to get one I am going to get a good one. I was thinking about the kitchen aid artisan or the magimix 4200. I have gone a bit off the kitchen aid food processor it seems the quality has gone from the manufacturing or that at least is the message from some of the reviews I have found. Where as the magimix is still made in France. I think? I would really appreciate your time in letting me know what food processor you use and what are the pros and cons you have found? Oh no, you poor thing! This story made me smile (sorry!!). It is a little alarming when a cut won't stop bleeding, though ... I gave myself a deep cut whilst slicing an onion a couple of months ago, too (damn rounded onions!! I even watched a Jamie Oliver video about how to slice them quickly and without losing a finger but obviously to no avail). What an ordeal. Hopefully it will be one of those things you look back on in a few years from now and have a giggle. On the subject of food processing, i am in the same boat. I really just need to bite the bullet and buy one. 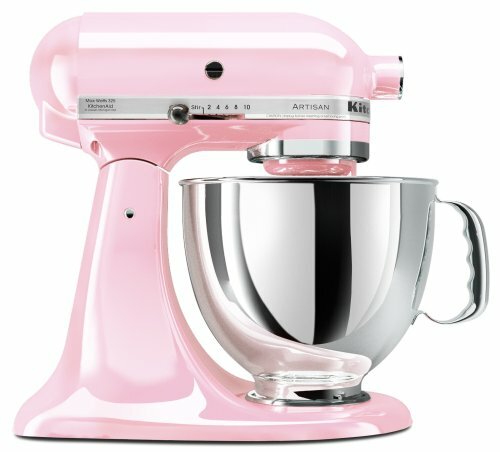 I can't help out with any advice (though I DO know you can't go past the Kitchen Aid. Especially pink ones!) but this story! Holy hell. Knives and blood and cuts, eurgh, it just makes my feet and hands go all tingly (in a bad way). And super close call with the $180! Ha! I hope it's on the heal. My mother was using her mixer thing the other day and mentioned that it was a wedding present from my grandparents FORTY YEARS AGO. And it still works perfectly. Amazing. Apparently, it cost a fair bit back then, so I think investing is a good move. Well, I'm sorry but I don't cook at all... can't help. I would love to know what you decide. I have wanted a kitchen aide forever but I feel for my money there might be something more modern that does a better job. I don't want to be seduced by their prettiness. That's awful you cut yourself that often , personally I'm a girl who falls down and up stairs often , oh well . I don't have a processor but I do have a kitchen aid mixer and I love it , finally got one after years of longing and I love it . hehehe love this story!!! imagine if you had paid that $180 for a simple bandaid!! on christmas day our host cut her hand.. blood everywhere.. and off she went to the emergency room.. 5 hours later.. 3 stitches... with so much blood i thought it would be worse.. I'm with you with not wanting to sit around forever.. it's the same at dr's surgery now.. 3 hour wait..
anyway.. just a word of warning.. i once worked with a girl who 'bamix-ed' her finger.!! hahaha.. yep.. had to had surgery to fix it!! best processor is by kitchen aid by far... sorry about the cut... the last time i got one i couldn't use my finger to type for like 2 weeks! I have a Kenwood Chef, and a Kenwood food processor. To be honest, I hardly EVER use the processor but it is a useful thing to have for some recipes. I've been super happy with Kenwood...BUT I have also heard that Magimix are the bees' knees!